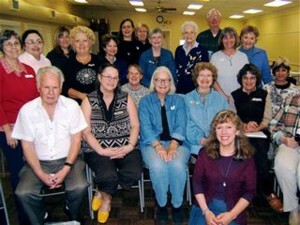 Watercolor Artists of Sonoma County (www.wascoart.org) was my host in a week long workshop in March, 2009. For the first day I did a “follow along” portrait class. There was a large enthusiastic group working that day. The rest of the week it was “paint your own portrait”. The individuality expressed was wonderful to see, from expressionism, to realism, to whimsy. 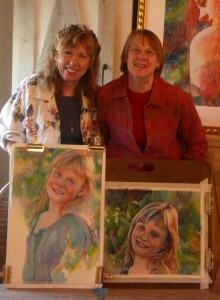 I enjoyed meeting and working with the artists and look forward to another visit to the beautiful Sonoma hills. 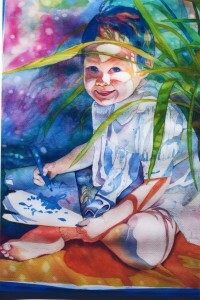 This lovely painting was done in this same class.